Located in the northernmost part of Nagano Prefecture, the Hokushin Region is known for winter sports, countless hot springs, the best rice and some of the finest sake produced in Japan. Visitors to the region can also savor some of the freshest seafood available in the country. Less than an hour away from Tokyo, Takasaki is the hometown of the Daruma doll and one of the largest statues of Kannon, Goddess of Mercy, in Japan. Admire beautiful and pristine nature in Minakami, designated as a UNESCO Eco Park on June 4, 2017. Visit Echigo-Yuzawa famous for its 900-year long history as a therapeutic hot spring retreat and the backdrop of Yasunari Kawabata’s Nobel Prize-winning “Snow Country”. Explore Niigata, the largest port on the Japan Sea coast, a hidden culinary gem and one of the three most prestigious areas in Japan for Geisha or Geigi, as they are called here. Discover the natural beauty of Sado Island, the sixth largest island in the Japanese archipelago on the Japan Sea Coast, with its untouched cedar forests and dramatic coastline. Arrive in Tokyo (Haneda or Narita Airport) and transfer to your hotel in Tokyo. *An iconic landmark in the heart of the city, The Tokyo Station Hotel’s red brick building exudes a timeless elegance befitting its deep rooted heritage. This property is located right inside Tokyo Station building. After breakfast, walk to Tokyo Station and depart for a full day of touring in Takasaki. A lot quieter and more laid back than Tokyo, this city has lots to offer. 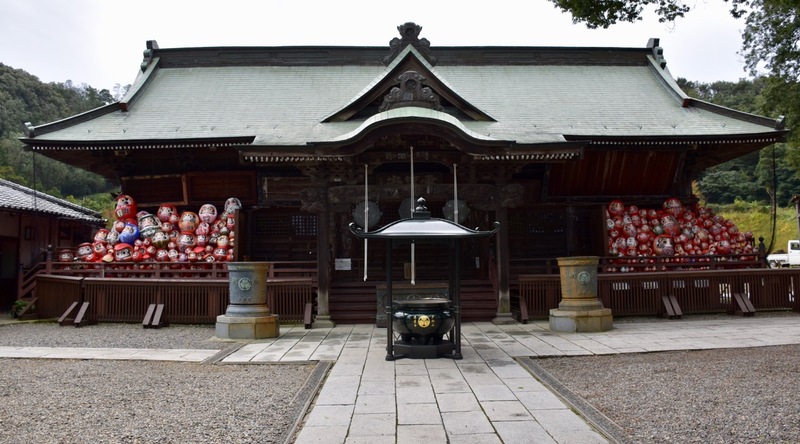 Visit Shorinzan Darumaji Temple, the birthplace of Daruma dolls – a traditional good luck charm. Over 80% of the Daruma Dolls in Japan are still made in Takasaki, and the temple continues to host the largest and most famous Daruma market held every year on the 6th and 7th of January. Try your hand at painting your own Daruma doll at Daimonya atelier. After lunch, continue your exploration with a visit to the Byakue Kannon (White-Robed Kannon). Over 40 meters tall, it’s one of the biggest in Japan. Visitors are allowed to walk inside the statue up to the height of its shoulder to enjoy beautiful views of the city and surrounding mountains. The remainder of the day free at leisure. Takasaki boasts one of the highest numbers of Italian restaurants per capita in Japan and has a reputation as a city of many tempting tastes. Be sure to try some local specialties. *Enjoy the hotel’s convenient location (adjacent to Takasaki JRStation) with several restaurants within walking distance. After breakfast at your hotel, stop by the Takasaki City Hall Observation Deck and enjoy the views of the city and the surrounding area. Then, transfer to Minakami (approximately 50 min). After a BBQ lunch, experience kayaking on Lake Akaya. Next, take the Tanigawadake Ropeway to Mount Tanigawa. Measuring 1977 meters at its highest point, Mt. Tanigawa has the distinction of being one of Japan’s 100 Famous Mountains. *All of the 18 guest rooms feature private natural hot spring baths and every room in this ryokan looks out to Mt. Tanigawa. After breakfast, visit Takumi No Sato, an arts and crafts village set amongst rice fields and apple orchards and against the backdrop of Minakami’s mountains. There are over two dozen workshops offering hands-on experiences and stores selling various Japanese crafts scattered throughout this small village. The various crafts available in the village include: washi paper, lacquer, indigo dyeing and bamboo weaving. Later on, go for a hike and enjoy the beautiful nature, or simply relax at your ryokan. 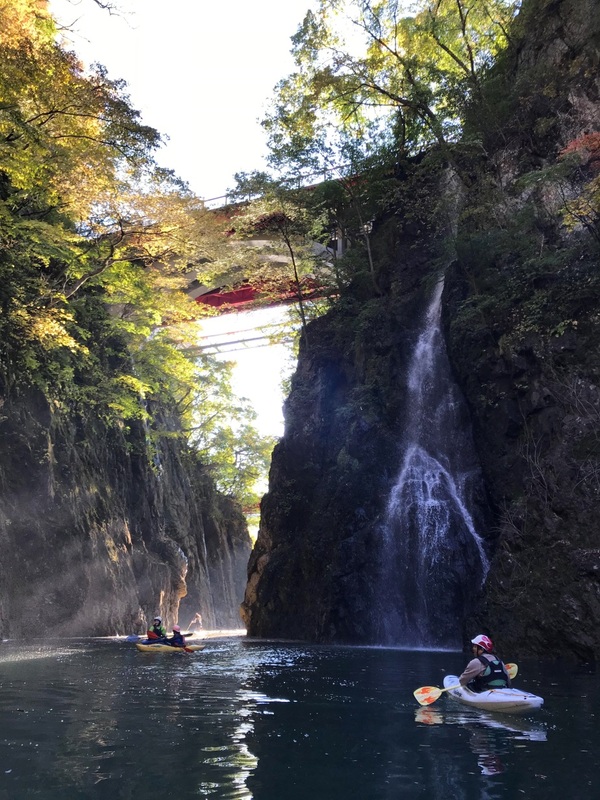 Other possibilities include a visit to one of the many fruit farms where apples, plums, grapes, cherries and many other fruits are grown, or discovering some of the adventurous outdoor activities the Minakami area is known for, including whitewater rafting, canyoning, bungee jumping, or skiing (most activities are only available during specific seasons). Overnight: Bettei Senjuan Ryokan or similar . After breakfast, enjoy a scenic drive to Echigo-Yuzawa (30 min). Nestled in the Japanese Alps and located in the southernmost part of Niigata Prefecture, Echigo-Yuzawa is known for its scenic beauty, great ski resorts, and rich cultural history. Your first stop is Shirataki Sake Brewery, a boutique brand that is known for its clean and crispy taste and for its elegant, modern bottles. Take a tour of the brewery and taste the sake at the end of the tour. After lunch at Echigo-Yuzawa Station, stop at Sake Museum Ponshu-kan also located inside the station. All of the famous brands of sake from the breweries representing Niigata Prefecture are amassed here. Your next stop is at Takahan ryokan, where Yasunori Kawabata’s masterpiece “Snow Country” was written. 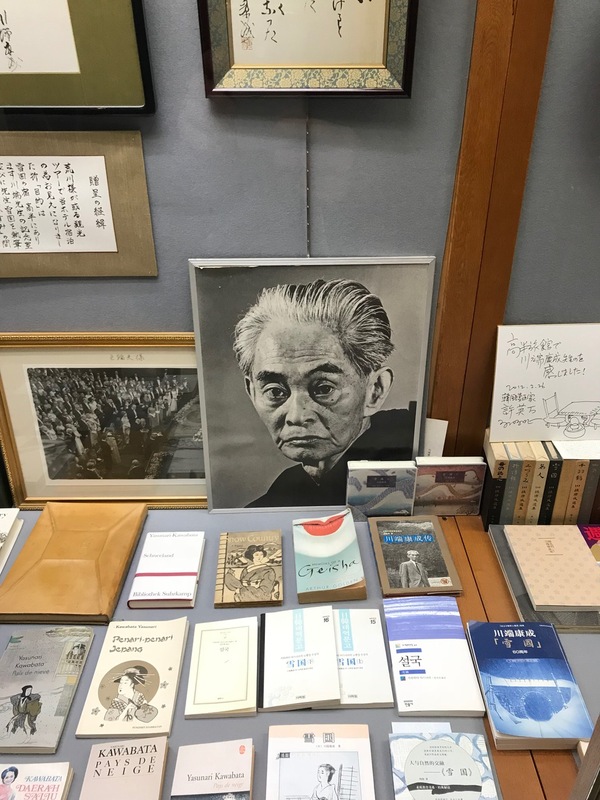 It won the Nobel Prize for Literature in 1968 and made Yuzawa famous. Later, wonder along Yuzawa’s town Onsen Street. If time permits, you can also ride the Dragondola, the longest gondola lift line in Japan connecting the Naeba and Tashiro ski areas. The line operates in winter but also in summer and autumn (subject to change). *Yuzawa Grand Hotel sits in a prime position opposite Echigo-Yuzawa Station. The hotel has Japanese and Western rooms as well as a variety of high-quality baths, both indoor and outdoor. This morning, you will be driven to Workshop Daigenta (approx. 20 min) where you will participate in a soba making experience. Next, transfer to Echigo-Yuzawa Station and take the bullet train to Niigata (about 1 hour). 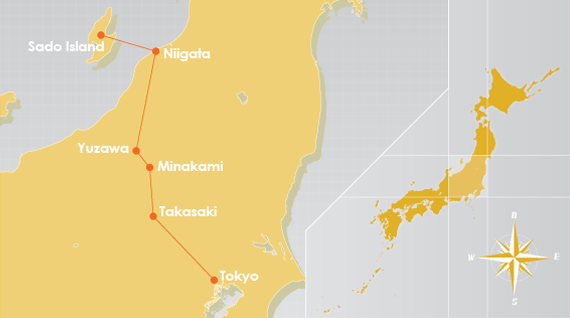 With a population of 804,000, Niigata has long thrived as a port town, the largest on the Japan Sea Coast, and is now a modern industrial city. Begin your exploration with a visit to Northern Culture Museum. It originally served as a mansion of Ito Bunkichi (1603-1868), one of the greatest landowners in Japan. Nowadays, the museum houses calligraphy and ceramics, lacquerware and documents related to Ito Family’s history as well as beautiful gardens. Your next stop will be at the Former Saito Family Summer Villa. 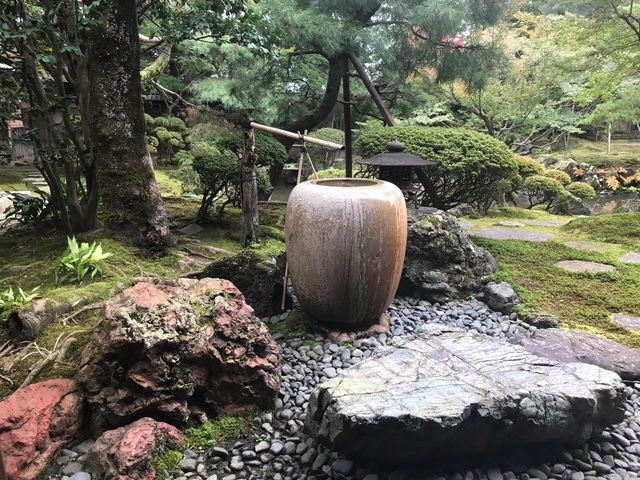 This villa, which belonged to a wealthy merchant, was carefully planned for the viewing if its superb Japanese garden and to avoid the summer heat. This evening, enjoy a special dinner with Geigi (Geisha) performance. *Enjoy this modern 14-story hotel with an ideal location in the heart of Niigata City. This morning, take the jetfoil from Niigata Port to Ryotsu Port in Sado Island (1 hour ride). With two parallel mountain ranges, between which lies an extensive plain with small rice farms, Sado is the largest island in the Sea of Japan. The island was designated penal colony for political dissidents in the 8th century. The combinations of aristocratic, samurai and commercial exchanges have fused together to form a unique culture. Begin your exploration with a visit to the village of Shukunegi. This coastal community developed in the later part of the 17th century as a home to shipbuilders and is characterized by the crowded rows of over 100 houses built with plate walls made from ship planks. Next, enjoy the Tarai-bune tub boat experience at nearby Ogi Port. 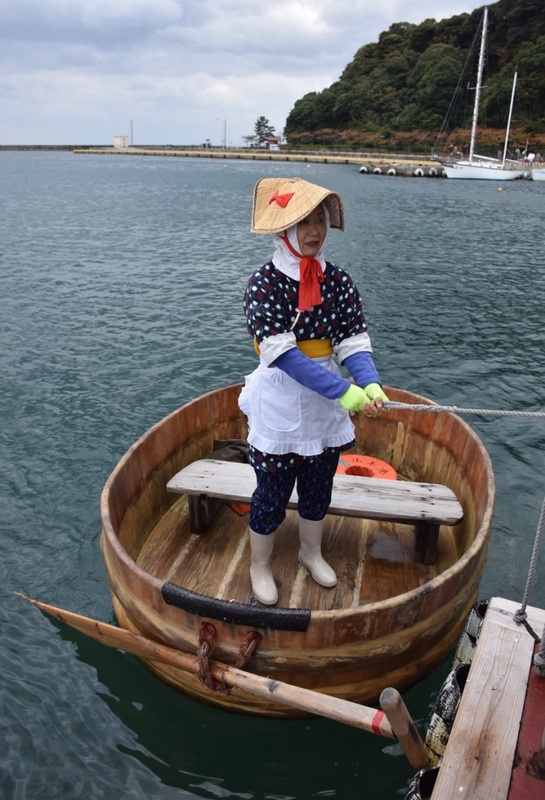 Originally used for collecting shellfish and seaweed and constructed out of cedar wrapped with bamboo on the outside, the Tarai-bune tub boats are mainly operated by women. Continuing on, you pay a visit to Sado Gold Mine. This was Japan’s largest mine in operation from 1601 until 1989. *Hotel Oosado is built on the clifftop overlooking the Sea of Japan. The view of the evening sunset is unforgettable. After breakfast, set off on a full-day tour of Sado Island. 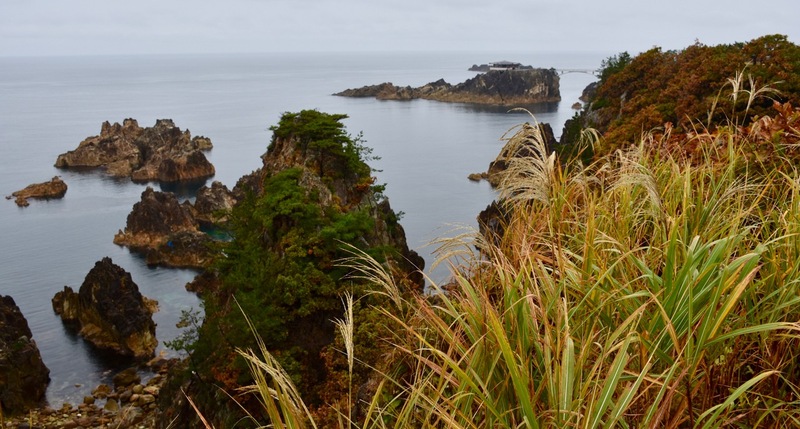 Visit Senkaku Bay with its steep rocky cliffs and beautiful scenery. The area is a Quasi National Park and is said to resemble Hardanger Bay in Norway. Enjoy a short cruise by a glass bottom boat. Your next stop is Osado Ishina Natural Cedar Forest, a mystical cedar forest which has existed for about 300 years with huge trees uniquely shaped by strong winds and snow. This is not a place for hiking or trekking, but rather for enjoying a leisurely walk. Later, visit the five-story pagoda at Myosen-ji Temple. Return to your hotel. After breakfast, transfer to Ryotsu Port and take the jetfoil back to Niigata. Explore Pia Bandai, the largest food market on the Japan Sea side. Niigata is also one of the largest producers of senbei, or rice crackers. Learn how to roast rice crackers at Niigata Senbei Okoku. Your last stop for the day will be at Shirone Kite Museum, one of the largest kite museums in the world. Shirone is known for its fighting kite-flying festival held in June. Teams face off against each other from opposite sides of the Nakanokuchi River with their giant kites. They fly their kites over the river where they collide and fall into the water. A tug-of-war ensues until one team’s rope breaks. Enjoy your evening at leisure. Niigata is known as one of Japan’s best culinary hotspots, so be sure to try some local specialties. Your journey comes to an end. After breakfast, transfer to Niigata Station to board your bullet train to Tokyo (It takes approx. 2 hours from Niigata Station to Tokyo Station).